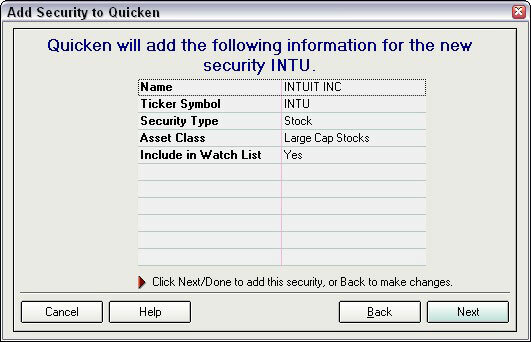 You can add stocks and other investments to your Quicken Watch List to help you track them. When you set up a Watch List, you can list stocks that you own, stocks that you want to own, stocks that are similar to ones that interest you, stock indexes, and any type of investment that you want to monitor. 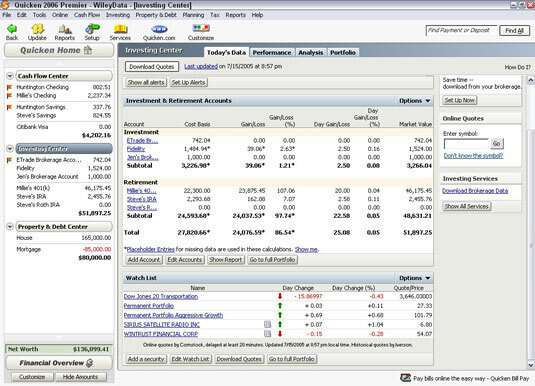 1Open the Investing Center by clicking the Investing Center in the Account Bar. Make sure that the Today’s Data tab is selected. 2Scroll down until the Watch List appears at the bottom of the screen. Even if you have no securities in your Watch List, the list appears, ready for you to populate. 3Click the Add a Security button. The Add a Security Button is at the bottom of the Watch List screen. 4In the window that appears, enter the ticker symbol for the security you want to track. If you don’t know the ticker symbol, enter the name of the security (or your best guess) and click the Look Up button. 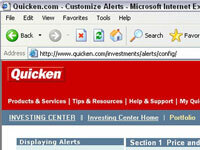 Quicken whisks you over to Quicken.com, where a search for your security begins. If for some reason (like you misspelled the name of the company or the company is remarkably obscure) Quicken doesn’t find the security, go ahead and search for the ticker symbol through other sources while you’re hanging around on the Internet. 5When you’ve got the ticker symbol, click Next. Quicken hops online and finds out the name of your security and what type of security it is. A little box appears, showing you what Quicken found. 6Click Next to accept the security. Make sure that the security Quicken found is the one you’re interested in tracking. 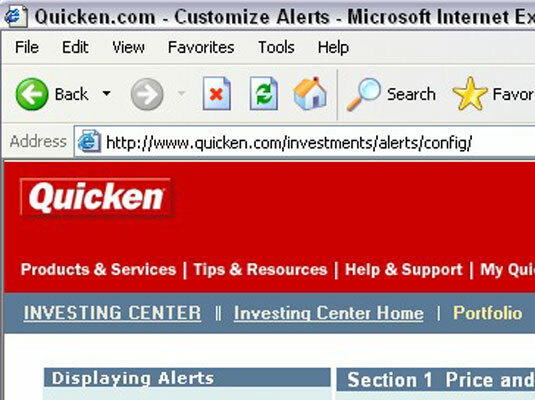 If the security that appears in the Add Security to Quicken window is the wrong security, click Cancel and try again. If the correct security appears, click Next and Quicken adds the security to your Watch List. A window appears asking if you want to do this again — choose Yes or No, and then click Done.